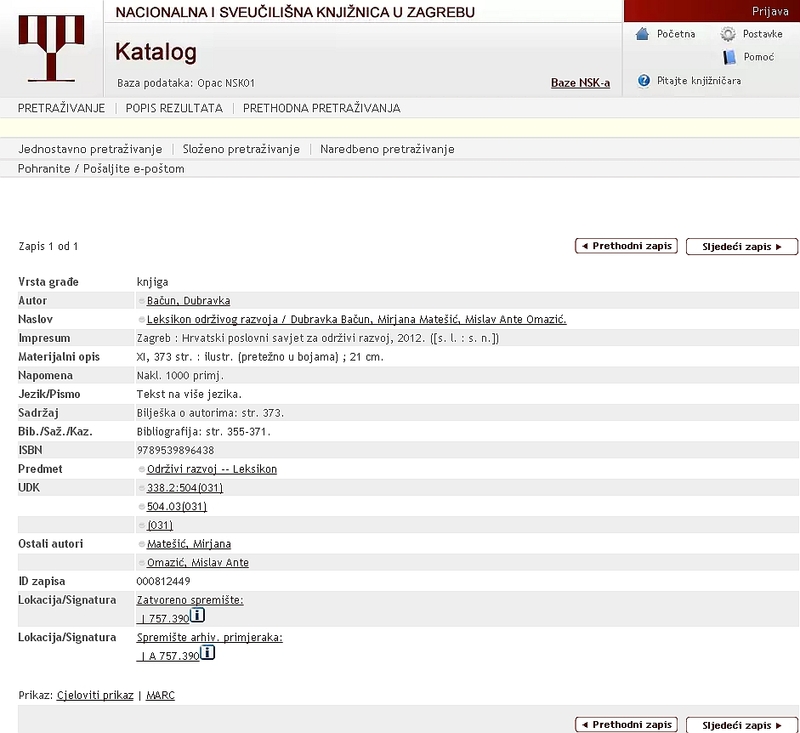 Specialised Dictionaries and Glossaries is a database containing published specialised dictionaries, glossaries and lexicons that have been transformed into terminological records and added to the Croatian Terminology Portal's search engine. Dr. Bruno Nahod and Vedran Cindrić are responsible for the design and implementation of the database content management system (CMS). The database Specialised Dictionaries and Glossaries is a resource based on a version of the Struna termbase, adjusted and simplified for the Portal's search engine. Resources supplement the domain terminologies that are already publicly available to users within Struna or, more often, they refer to a specialised domain not yet covered in Struna.